Gigglebug Entertainment is an animation IP studio based in Finland. We create, develop and produce positive kids content with multi-platform distribution and global growth potential. Our company’s mission is to make fun stuff with a purpose! Anttu Harlin is CEO and producer at Gigglebug Entertainment. He’s also co-creator and writer of Gigglebug, the company’s first hit TV series and app collection. Anttu is a dynamic entrepreneur who is passionate about high quality kids content. Joonas Utti is creative director at Gigglebug Entertainment and co-creator, story artist, designer and director of Gigglebug. Joonas is an animation craftsman of a rare breed and an artist who combines overarching vision with meticulous attention to detail. The studio is set up in Helsinki, Finland. We’re a team of 15 people, combining end-to-end skills for animation production digital content. We are able to go from original idea to delivery in-house. It takes a tightly knit team with overlapping skill sets, keeping production fun, flexible and efficient. That said, we also work with writers, artists, studios and game companies from around the world. During 2019, we will be growing our pre-production and story artist teams. Our studio is located close to a primary school and a kindergarten, who collaborate with us on informative research and testing. We’re proud of having a unique environment for creating kids content - a friendly HQ with top professionals passionate about animation. Best & Bester is a “buddy comedy on steroids” about two friends who can transform themselves into whatever they want, once per day — but figuring out what’s the best thing to be can be pretty tricky when you can be anything! At heart, Best & Bester centres around kids’ freedom to express their opinion and the multitude of possibilities that exist for them in the world. Best & Bester is a multi-platform brand, the TV series consists of 78 x 7 minute episodes and it is paired with shorts, gifs and a messaging game. The IP is currently in development with our wonderful co-production partner, Eye Present, out of London. We are honoured to be part of the team that has given life to the reboot of the classic Disney property, now as a series! “101 Dalmatian Street” is set in the modern day, in the London borough of Camden. It is inspired by Dodie Smith’s 1956 novel and Walt Disney’s 1961 film. The series follows the adventures of Dylan and Dolly, and their parents Doug and Delilah, who have 97 younger puppies, whose names also begin with ‘D.’ The show has been developed by Disney’s U.K.-based originals team with Gigglebug Entertainment in Helsinki. The series is lead produced by the amazing Passion Animation Productions in London with animation by the wonderful Atomic Cartoons in Vancouver. At Gigglebug Entertainment, we have been part of the concept development and creating digital content to accompany the series. We are super proud of the results! Here is a link to one of our favourite shorts so far, “Ransom Pups”. The shorts have been fully produced and animated here at Gigglebug’s studio in Helsinki for Disney; directed by Joonas Utti, story edited by Maria O’Loughling and executive produced by Anttu Harlin. 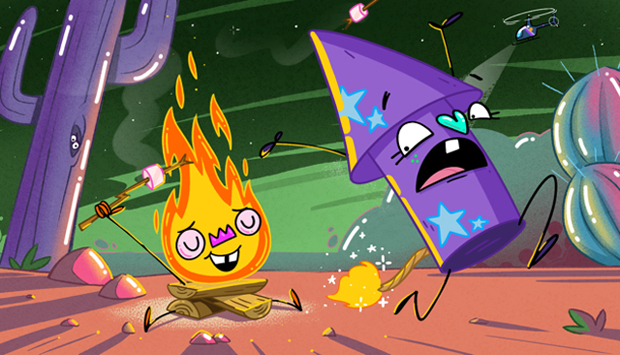 We are currently piloting a brand new animated comedy for 6-9 year olds. It is looking outrageous, abominable, very furry, yellow and quite unstoppable. Characters full of heart and humour with beautiful designs. Details are still under wraps but we just can’t wait to spill more news on this one!! We have a number of new and exciting projects in development. All the new brands carry our own flavour of silliness, positivity and purpose. We will be present at industry events sharing more details on these gems! “We’re honored to reimagine a Disney classic, creating something truly new, and working with exceptional global talent to make it happen,” said Orion Ross, VP content – animation, digital & acquisitions – Disney Channels EMEA. “I’m particularly pleased that the creative heart is based here in London, where the series takes place.” The show was developed by Disney’s U.K.-based originals team with Gigglebug Entertainment in Helsinki, who provided concept development and are creating digital content to accompany the series. Finnish animation IP studio Gigglebug Entertainment has hired on Thatcher Mines as Director of Digital and Linnea Karlsson-Autio as Chief Financial Officer. 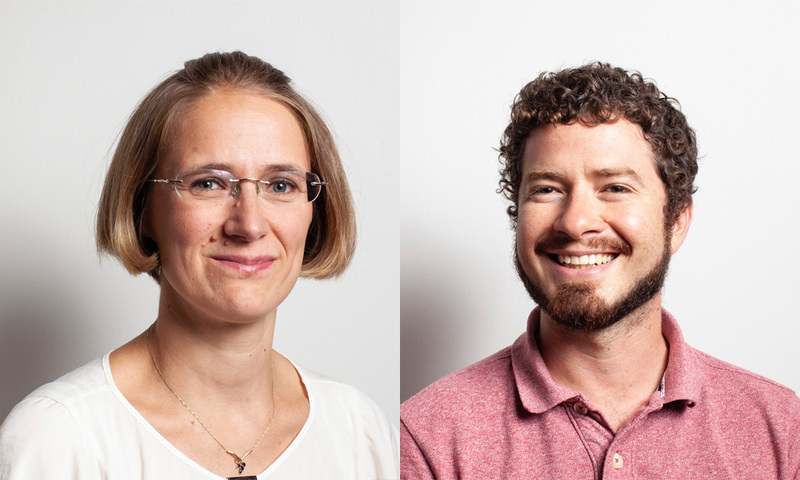 These senior posts have been appointed as the studio moves to expand its digital business and drive the next phase of its growth, by developing a digital-first content strategy. 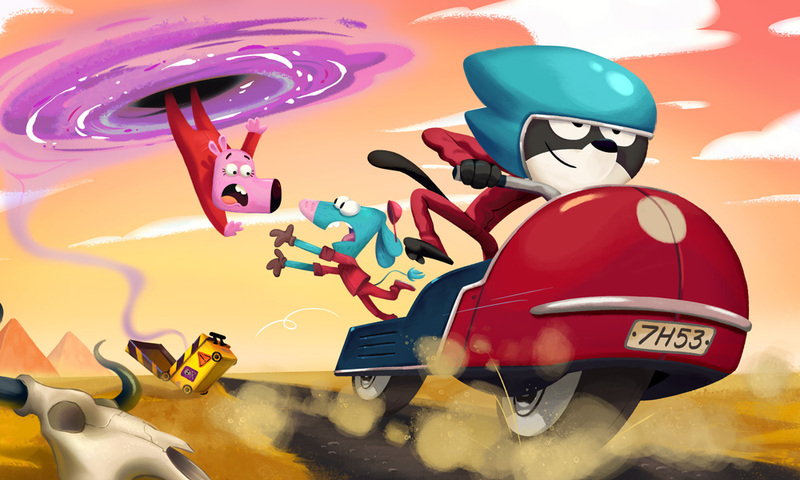 One Cartoon Forum project they may have their eyes on is 78 x seven-minute, digital-first series Best & Bester (pictured), the latest original animated show from Finnish studio Gigglebug Entertainment. Set in a world where everyone gets to decide what they want to be, the series for six- to 11-year-olds follows two uber-competitive best buds who spend their time comparing the best things of all time. 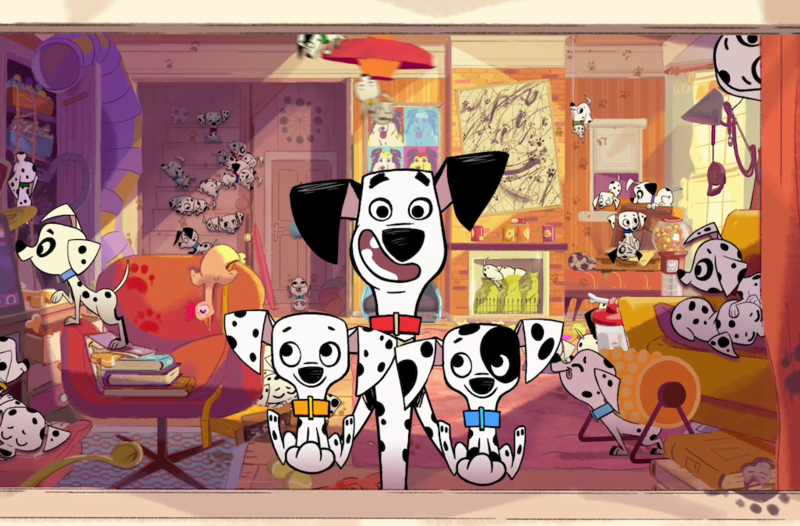 101 Dalmatian Street takes place in 21st-century London and features eldest canine siblings Dylan and Dolly and their parents, with the other 97 pups playing a supporting role. The 48 x 11-minute series, along with two x 22-minute specials, are based on a pitch from Finland-based Gigglebug Entertainment’s Anttu Harlin and Joonas Utti. Starting in Summer/Fall 2019. Gigglebug Entertainment is recruiting Story Artists / Storyboard Artists for an original 2D series. The 50 x 11′ animated comedy is for children (6-9) and their families. The show combines action, fast paced comedy and expressive characters. We’re looking for experienced artists that can deliver thumbnails and boards with strong posing and dynamic staging. Artists to work in-house in our Helsinki studio, although remote working is a possibility. In the Gigglebug Studio, you would be part of a small team and work in close collaboration with the director, animatic editor, and layout artist. Qualities we especially look for are: an eye for acting, skills in staging and composition, ability to pitch story solutions, ability to work collaboratively, ability to work under schedules and deadlines. And a love for cartoon comedy.